As audio engineers or producers, one of the things we all have to do from time to time is to make judgements about audio quality. It might be about the balance of a mix or the sound of an instrument, it might be about a particular piece of equipment or signal processing, or it might be about a monitoring system or listening environment. Whatever the case, an essential prerequisite is to have a valid frame of reference — something upon which you can base a subjective opinion. The easiest and most flexible way to establish a frame of reference is to use some sort of reference CD, and there are several available commercially. For example, one of the most widely available is Alan Parsons' Sound Check CD, but others include the Canford Audio Quick Check CD (there's more about these first two elsewhere in this article), and the three-volume set of Test Discs produced by Hi-Fi News magazine. 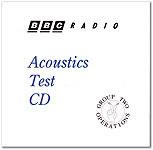 Other reference discs which are useful (but much harder to track down) are the BBC Radio Group 2 Acoustics Test CD and the EBU SQAM (Sound Quality Assessment Material) disc. 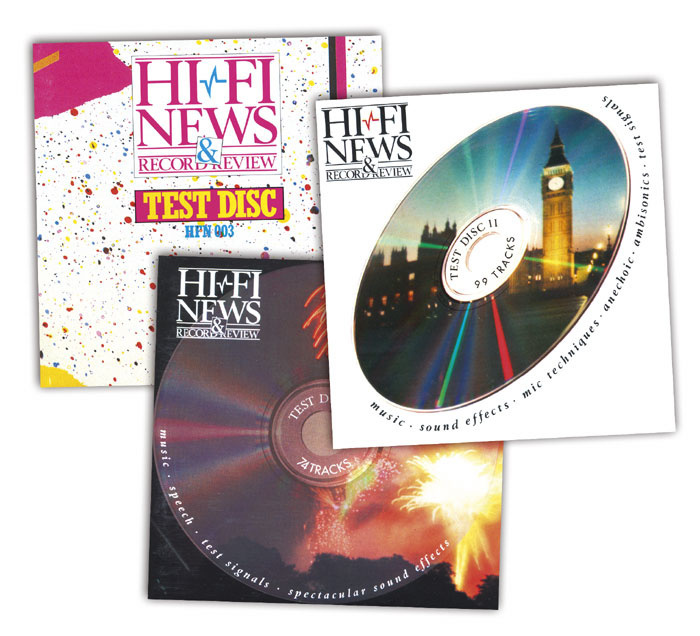 If you can get hold of the original Hi-fi News & Record Review test CDs, now discontinued, these are an invaluable resource.Useful though these commercial discs certainly are, the range of technical test tracks is often inappropriate for the majority of needs and the selection of musical material rarely matches personal preferences. So why not create your own reference CD — a disc of test signals and audio material which suits your own preferences, styles and requirements, and with which you are extremely familiar? After all, creating an audio CD is hardly rocket science these days, and provided a little care is taken during the sourcing of material and the production of the final product the end results will be as reliable as any commercial disc, but more relevant and useful. 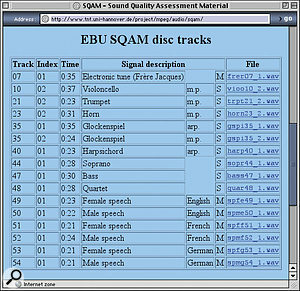 Once created, this personal reference disc can be used as a reliable reference to help judge the quality of almost any audio equipment, including processors, consoles, and loudspeakers. It can also be used to help assess the acoustic characteristics of the listening environment, and to provide comparison tracks with which to judge a mix or the validity of a mastering process. 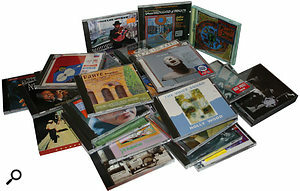 Obviously, the precise contents of a reference CD will vary from person to person to suit individual requirements and tastes. However, the basic ingredients will be largely the same for all — some technical test tracks, some solo instrumental and vocal tracks, and some commercial music tracks — its just a case of deciding the specific roles in which the reference disc has to satisfy. An essential technical requirement for any reference disc is to enable the accurate calibration of an audio system. This involves being able to check and set such parameters as identification of the left and right channels of a stereo system, the relative phase of two channels, the standard operating level, the amount of headroom, and the frequency response. The specific test signals required by different users and systems may differ, so I'll list those which I have found useful enough to include on my own reference disc (which has evolved gradually over many years). My first track actually answers the first three requirements in one hit. It is a test signal known as GLITS, which was developed by a BBC TV Sound Supervisor called Graham Haines in the mid 1980s. GLITS is an acronym for 'Graham's Line Identification Tone for Stereo,' and it comprises a 1kHz sine wave tone normally at a level of -18dBFS. (If you use a 440Hz tone frequency, it can serve as a tuning aid as well!) The left and right channels carry an identical level tone which is in the same phase on both channels. 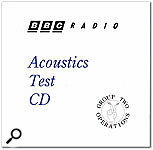 The BBC Radio Group 2 Acoustics Test CD is invaluable, but unfortunately, it is now hard to find. Although the European standard digital operating level is -18dBFS (which equates to 0dBu), there is nothing to prevent the use of a different level of tone if the alternative is more appropriate to the specific requirements of the user. For example, those working with analogue desks and standard VU meters may prefer to use a test level of -14dBFS which equates to +4dBu in the European environment and therefore zero on the VU meter. (It might be worth reminding Mackie console users at this stage that the meters on those desks are calibrated for 0VU = 0dBu, not +4dBu.) Whatever the choice of line up level, it is vital that you document precisely what's on the disc in the sleeve notes so that anyone else using your disc knows what to expect. To provide channel identification the GLITS tone is interrupted at regular intervals — once on the left channel and twice on the right — forming an equally spaced group of three interruptions. The length of each mute and the repetition rate aren't critical: there simply needs to be enough continuous tone between mutes to allow a reasonable chance to adjust gain controls, and the mutes themselves have to be large enough to enable a meter with a slow fall-back ballistic to react sufficiently to be easily observable. A good starting point is a mute period of about 0.5 second and a repetition rate of five seconds. This is a very easy signal to create and tailor to your own requirements in any audio workstation, but make sure the mute period fades are as fast as possible, otherwise it can be hard to hear which channel is muting! Since the tone on each channel is recorded in the same polarity, summing the two channels to mono will quickly reveal a polarity error in the system. If everything is correct then a constant tone will be heard with three 6dB dips in level. However, if one channel is of opposite polarity then the continuous tone periods will become mute (since the left channel signal will cancel the right), and the interruption periods will become three full level pulses instead. All in all, this is a quick, simple, and extremely useful test signal which is absolutely perfect for establishing the signal routing and level calibration of consoles, record machines and effects units, as well as checking metering and monitoring systems. The only real weakness of the GLITS signal is when trying to assess the phasing of loudspeakers by ear, since checking with a constant tone is surprisingly difficult. For that reason, I also include a simple spoken voice test track which consists of a clean recording of someone saying "In phase... out of phase... in phase... out of phase", recorded equally in both channels but with the polarity of one channel being flipped at the appropriate moments. When playing the track back, if your ears agree with the commentary then all is well... and if not you need to start hunting out the reversed connections! When it comes to checking the headroom of a system, it is very simple to create a test-tone signal at the peak level of 0dBFS. However, to avoid potential embarrassment or the destruction of the loudspeaker drivers, I prefer to use a test signal which starts off at the reference operating level and builds slowly to peak level. It may help to differentiate this peak level track from other, safer, test tracks by using a different tone frequency, or with different frequencies on each channel. My own peak level test track starts at an initial level of -18dBFS, and then fades linearly up to 0dBFS, taking 18 seconds, followed by a further 10 seconds at peak level. Increasing the level by 1dB each second means that the CD player's track timer can be used as an approximate level display. The seconds display represents the number of dB above the standard operating level (up to a count of 18), which is sometimes a useful facility. 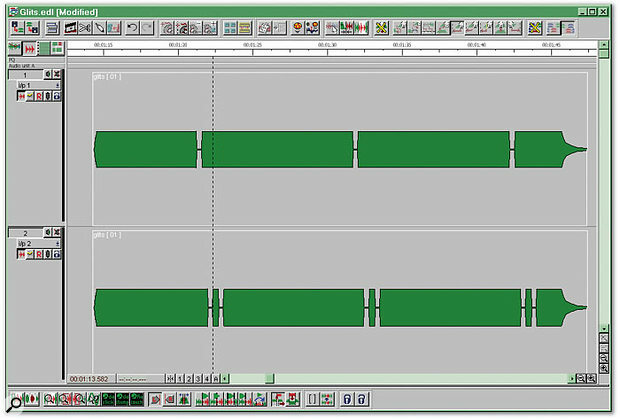 The GLITS test tone, viewed here in a waveform editor to show the deliberate discontinuities in the left and right channels. Being able to check the approximate frequency response of a system is often another useful facility, particularly when it comes to auditioning loudspeakers and rooms. There are several different ways in which this can be done, each with its own advantages and disadvantages. The first is to use a 'sweep tone' which is a sine-wave test signal at a constant level (usually the standard operating level, -18dBFS), which starts at one end of the spectrum and gradually changes pitch until it reaches the other extent of the spectrum. It doesn't matter whether the sweep builds up from 20Hz, or down from 20kHz, but it helps a lot if there are a few seconds of tone at 1kHz at each end to define the beginning and end of the sweep — few loudspeakers (and even fewer ears) will be able to generate (or hear) the frequency extremes. This test signal is harder to construct than the simpler level calibration signals described earlier, but you may be able to 'borrow' and modify a suitable sweep test signal from one of the commercially available test discs. The sweep test is a certainly a handy and quick check signal, but when testing speakers or rooms it is often more revealing of certain problems to use constant signals at specific frequencies, typically at 1/3 octave intervals: 20, 25, 31.5, 40, 50, 63, 80, 100, 125, 160, 200, 250 and 315Hz. Again, these are sine wave tones at -18dBFS, recorded on the disc with a different track for each frequency. Each tone should last between 10 and 15 seconds, which seems about right for tracking down resonances and room modes. Most test discs continue the 1/3 octave spot frequencies right up to 20kHz, but I rarely find I use anything above about 315Hz. A third common frequency response test signal is noise — usually pink noise which is filtered at 3dB/octave to provide constant energy in each octave (or 1/3 octave) band. At the very least, you should include 30 seconds of a 20Hz-20kHz pink noise track, once again at an averaged level of -18dBFS (although peaks will typically be about 12dB higher). This is an incredibly revealing test signal for all kinds of frequency response problems. If you find yourself testing or auditioning loudspeakers regularly, then octave or third-octave pink noise tracks can be even more useful, and the Sound Check test CD includes band-pass pink noise tracks which incorporate polarity reversals in one channel specifically intended to check individual drive units in multi-way speakers for matching, level and polarity. The final track which I include in the calibration section (although many would put it in the following Instrumental section, is of a very well recorded spoken voice. There are a couple of good examples on the Canford Quick Check CD as well as on the Sound Check CD. Since we listen to the human voice everyday our brains are highly attuned to any irregularities, and I find this a very good test for revealing frequency response problems, particularly in loudspeakers, as well as distortion and compression artifacts. If you choose the signal level carefully a spoken voice track can also act as a useful monitoring level reference — its remarkable how accurately and repeatedly most people can set the level of spoken voice! The recordings listed here are not meant to comprise a definitive collection of the best recordings ever made — although I happen to think many of them probably are! Nevertheless, I believe all the tracks detailed below are excellent recordings of superb performances. The listing is not meant to be exhaustive and nor does it contain examples of every genre — these are simply musical works and performances that I happen to enjoy hearing. The key to their inclusion here is really that they have all proved useful to me in different ways when evaluating audio systems and rooms. If you'd like even more suggestions for critical listening, check out mastering engineer Bob Katz's CD Honour Roll at www.digido.com. Symphony No 5 (Track 4 — 'Adagietto'). L'Enfance Du Christ (Disc 1, Track 10 — 'Il s'en va loin de la terre'). Pictures at an Exhibition (Track 14 — 'Baba Yaga'). A Canterbury Christmas (Track 9 — 'O Magnum Mysterium'). Requiem (Track 4 — 'Pie Jesu'). A Feather on the Breath of God (Track 1 — 'Columba Aspexit'). 12 Etudes (Track 12 — 'Pour Les Accords'). Clarinet Quintet (Track 4 — 'Con Moto'). Italian Cantatas (Track 3 — 'Tu Fedel? To constante?'). A Few Small Repairs (Track 1 — 'Sunny Came Home'). Beyond Skin (Track 6 — 'Nadia'). Holly Wood (Track 4 — 'A Stor Mo Chroi'). Pretzel Logic (Track 1 — Rikki Don't Lose That Number). Rickie Lee Jones (Track 5 — 'Easy Money'). Famous Blue Raincoat (Track 2 — 'Bird on a Wire'). The Nightfly (Track 7 — 'The Goodbye Look'). Warner Bros (7599 23696 2). Planet Drum (Track 7 — 'Temple Caves'). Come Away With Me (Track 3 — 'Cold Cold Heart'). Parlophone (7243 5 38609 2). Direct (Track 3 — 'Squib Cakes'). I Remember Clifford (Track 9 — 'Jordu'). Texas Flood (Track 8 — 'Dirty Pool'). Mr Lucky (Track 5 — 'I Cover The Waterfront'). Just Like You (Track 4 — 'I'm On Your Side'). Round Midnight (Disc 2, Track 15 — 'Straighten Up and Fly Right'). Time Out (Track 3 — 'Take Five'). Buena Vista Social Club (Track 5 — 'Dos Gardenias'). Think Of One (Track 3 — 'My Ideal'). Jazz (Track 2 — 'Face to Face That I Shall Meet Him'). The Raven (Track 12 — 'Spanish Harlem'). Tico Tico (Track 6 — 'Tico Tico'). Modern Cool (Track 7 — 'Company'). Blue Note (5 21811 2). This section is harder to generate or source than the preceding test tracks, because what is needed is a wide variety of very well recorded solo instruments and voices. Fortunately, there are some good examples of this kind of material on the Sound Check CD, as well as the SQAM disc and the BBC Radio disc, and some of the signal processing manufacturers like TC Electronic and Lexicon often incorporate suitable material in some of their demo discs. The tracks in this section can be used in a variety of ways, and the first is to provide a tireless source of audio which can be used when trying to arrive at some initial settings in effects and dynamics processors. The second is to provide clean reference recordings which are useful in judging the quality of an instrumental source or the processing being applied during a recording or mix. The third main use is to assist in finding resonances, distortions and response problems in the recording and monitoring equipment, and this role is a particularly important one. For example, a well-recorded bass guitar or upright bass (ideally playing scales or walking bass lines in different keys) can be a far more educational and realistic test of low frequency room mode and loudspeaker response problems than any of the sweep, spot-tone or noise test signals! Vital instrumental sources here include solo piano (rock piano miking techniques are very different to those employed for classical piano, so choose this material carefully), string bass, electric bass (without any processing), acoustic guitar (in various styles of strumming and picking), and an array of percussion. This should include a complete acoustic drum kit, a couple of different snare drums, kick drums, orchestral bass drum, cymbals, and perhaps congas or tabla, as well as triangle, tambourine, glockenspiel, and maybe even tubular bells, since these all have complex high-frequency components. It is also useful to include instruments such as flute, clarinet, trumpet, trombone, orchestral strings (solo violin, viola, cello, double bass). Finally, a range of solo voices — male, female, soprano, alto, tenor, bass — are essential, ideally with a variety of different musical styles. Try to make sure these instrumental tracks are reasonably long — between thirty seconds and a minute is ideal — or you'll find yourself continually having to hit the track repeat button on your CD player. 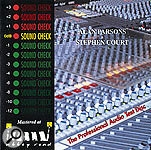 Alan Parson's Sound Check and Canford Audio's Quick Check CDs, both available from Canford's catalogue and web site. 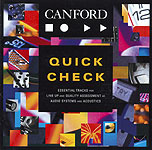 Alan Parsons' Sound Check and Canford Audio's Quick Check CDs are great resources for test material if you don't wish to spend time developing your own. The Sound Check CD contains line-up, tuning, pink noise and peak-level test tones, as well as audio designed for phase checking, and a couple of examples of well-recorded male speech, including the BBC Shipping Forecast. Sound Check is more detailed; it has all the kind of material on the other disk, but with more variations — for example there are test tones at a bewildering variety of frequencies, and sweep and warble tones for speaker tests. There are also recordings of many different types of instruments and percussion, extracts from a few audiophile musical recordings and some bizarre sound effects, including a steam train and a Chieftain tank (well, you never know when they might come in handy...). Both CDs are available from Canford Audio's catalogue or web site, and you can find more information about them at: www.canford.co.uk/catalogue/pdf_files/page795.pdf and www.canford.co.uk/catalogue/pdf_files/page796.pdf. Sound Check CD, £25.28; Quick Check CD, £21.15. Prices include VAT. Canford Audio +44 (0)191 418 1122. The material included in this section really is down to personal choice, and if you tend to work in one particular genre of music then your choice of reference tracks may naturally tend to reflect that. However, it pays to choose a selection of tracks which span as wide a range of musical styles, groups, and instruments as possible, as this may well be more revealing of a system's characteristics. Whatever the final selection of tracks, it should incorporate material that you know particularly well and won't tire of — and try to avoid anything overly dramatic. For some bizarre reason most of the commercial test discs include recordings of low flying airplanes, cannons being fired, or people banging frantically on garage doors! Unless you record sound effects for a living, such tracks are utterly pointless and potentially damaging to your speakers, as few of us are in the fortunate position of owning monitors which can accommodate anything like real-world dynamics. Since most of my own recording work is performed on location and mainly involves orchestral, choral and jazz music, I have chosen to include various examples of what I consider to be amongst the best recordings in these genres. These tracks not only provide a quality standard to which I continually aspire, but also provide a reference with which to compare my own recordings in the same acoustic environment. My reference tracks include recordings of symphony and chamber orchestras (mostly dating back to the 1960s, oddly enough), various cathedral choirs of different sizes and in different acoustics, some piano and harpsichord pieces, and examples of acoustic and electric jazz involving groups of widely varying composition, and with recordings from several eras. There are also a number of more 'popular' tracks including some well known 'hi-fi test tracks' which I have come to trust over the years. These include such classics as Jennifer Warnes' 'Bird On A Wire', Donald Fagen's 'IGY', Rickie Lee Jones' 'Easy Money', Voice Squad's 'A Stor Mo Chroi', and so on. Essentially, these are well-recorded, well-produced tracks in a variety of styles and with various degrees of complexity which help me to assess the resolution of a monitoring system and the way it is interacting with the listening environment. Having created or 'borrowed' the necessary test signals, sourced the instrumental tracks and selected a collection of suitable reference music, the final task is simply to sequence the material and burn the reference CD. Since there can be up to 99 tracks on a CD, and a maximum of about 80 minutes of material, it may necessary to choose the reference music tracks carefully or be prepared to do a bit of editing in order to make everything fit. For the purposes of auditioning equipment there is no need to retain the music tracks in full — most tracks can lose a verse or two without affecting their worth as a reference track, if it means you can incorporate a more diverse range of material on the disc! The only thing to be careful of is not to change the levels of any commercial tracks while compiling and burning the disc, since this may damage the original dither information and result in quantisation distortion. Although it probably makes sense to keep tracks grouped together in the sections I have outlined above, the order in which you sequence the individual tracks, and the order of the sections themselves, is completely optional. This is not a disc that is going to be played from start to finish under any circumstances so the sequencing is far less critical than it would be if mastering a normal music CD. However, you may want to give some consideration to the order of the musical reference tracks, since you may well find yourself playing these through one after the other when auditioning loudspeakers, for example. My own test disc starts with the GLITS calibration track, a broad-band pink noise track and a spoken voice track. Track 4 is the first of the collection of musical reference tracks. The instrumental tracks follow after these, and the more technical test tracks (peak levels, spot tones, pink noise tracks and so on) bring up the rear of the disc. This arrangement allows me to start the disc, quickly check the system for correct channel identification, operating levels and phasing, and then start the auditioning using my reference listening tracks. If I need to get more involved with the technicalities, or if I want to access material to help set up signal processors and the like, it's very easy to dial in the appropriate track number, as necessary. Finally, reference discs of this kind tend to evolve — I end up creating a new one every couple of years to include some new music tracks which I have found particularly useful, for example. For that reason I permanently store the source audio files and playlist in the workstation computer, ready to be updated at a moment's notice. Also, because the disc is used virtually daily in my particular case, it is prone to damage and so often has to be replaced. It is obviously better to burn a new disc from the original source files than try to copy the disc. 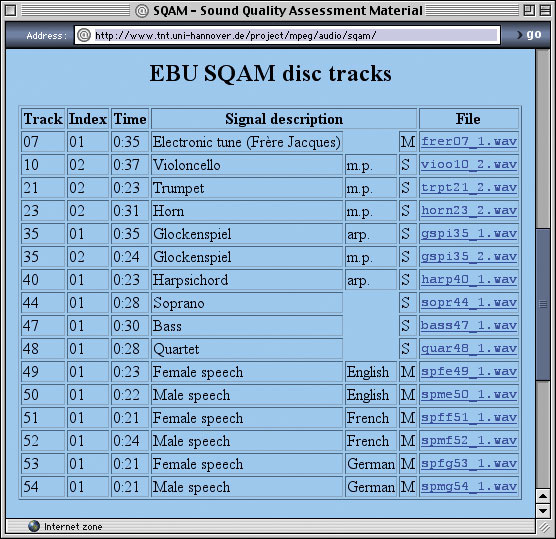 The European Broadcasting Union's SQAM (Sound Quality Assessment Material) CD is invaluable — and some of the audio from it can be downloaded in WAV format from the web site shown. If you don't fancy getting hold of any of the commercially available test CDs available, you can create your own if you have access to the Internet, although it will take a little effort. For a start, there are WAV files of test tones at different frequencies and digital levels, including -18dBFS, available to download from the site of Impact Televisual Productions (www.execulink.com/~impact/uteslist.htm), while Mark's Car Stereo Page offers pink-noise files both in and out of phase. If you can't find the tone levels you need, then there are signal-generator applications for both PC (Natch Engineering's SigJenny at www.natch.co.uk) and Mac (Mac Audio Toolbox at www.blackcatsystems.com or Audio Ease's Make A Test Tone at www.audioease.com) which provide more options. In addition to these, there is a fantastic resource available at www.tnt.uni-hannover.de. 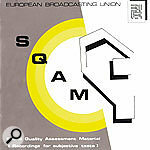 Here you can download a small selection of the tracks originally offered on the SQAM test disc mentioned in the main article, in particular pristine recordings of speech, singing, harpsichord, cello, horn and trumpet, which are ideal for critical listening. With a little editing, these resources should allow you to build most elements of the test CD mentioned in the main text — just add a few of your favourite mixes!